We know that moving to High School is a big step and seek to prepare our older pupils for this exciting time. Check out our new transition video made with pupils from across Midlothian moving onto St David’s High School when they leave primary school in June 2018! 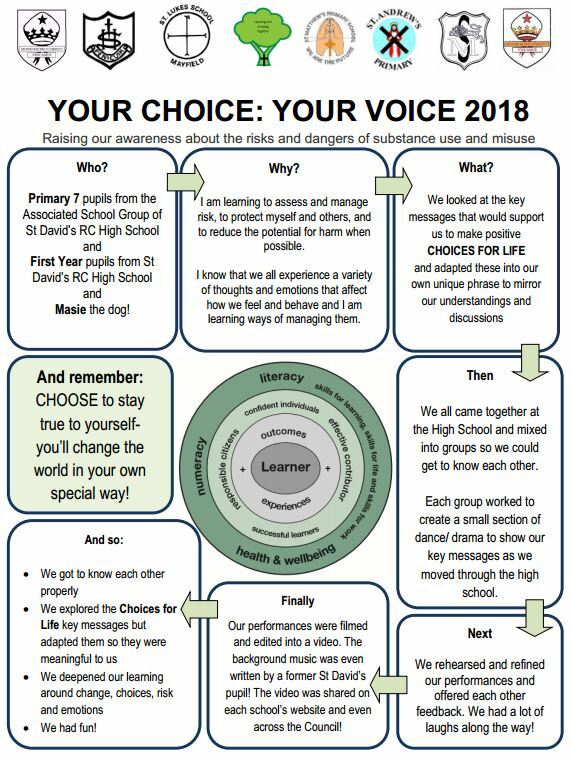 We were extremely proud to receive 1st place in the Choices for Life Scotland Campaign (April 2018), winning our ASG school’s £2000 to further support transition.